Home WORLD Underwater Motorcycle Challenge – Ever Seen a Motorcycle Under The Sea? Underwater Motorcycle Challenge – Ever Seen a Motorcycle Under The Sea? 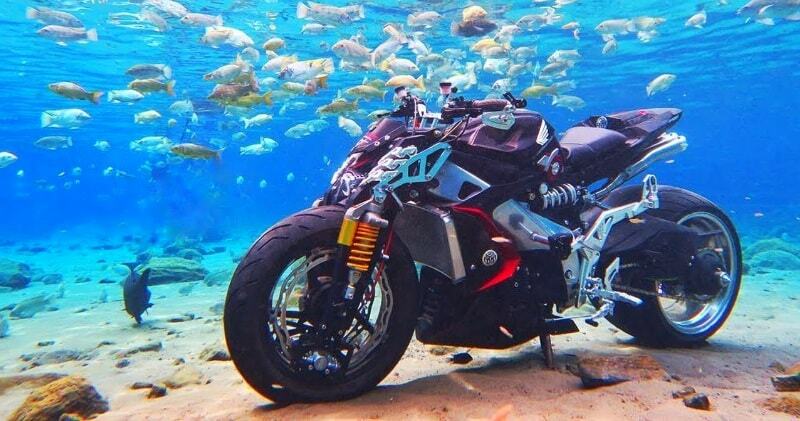 Bikes end up under water for two reasons: floods and tipovers in streams.But this one is just for fun or taking a cool instagram pictures of your motorcycle.Ever seen a motorcycle under the sea? This is so awesome I had to share it. Some people may ask: Why? – Because you can, that’s why. Dont try this at home you can damage your motorcycle. Let your bike cool down,so you shouldn’t put a bike with a hot engine straight into cold water. There are some tricks that makes it possible to lower a motorcycle into water (in a relatively safe way), and not pollute the environment. – Let the motorcycle air dry completely before turning it on again. And don’t let it happen again!